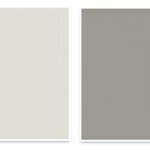 I got up early to run to Home Depot to get paint samples for the spare bedroom upstairs. I slapped them on the wall and then went back to get the decided on paint color. My mom came over and was helping me do the paint (she’s way better than me at cutting in). We thought, man, we could knock this out in a couple hours or less – there is no ceiling to paint or anything. Ha – the universe was laughing at us. As we began painting, we discovered something bad. 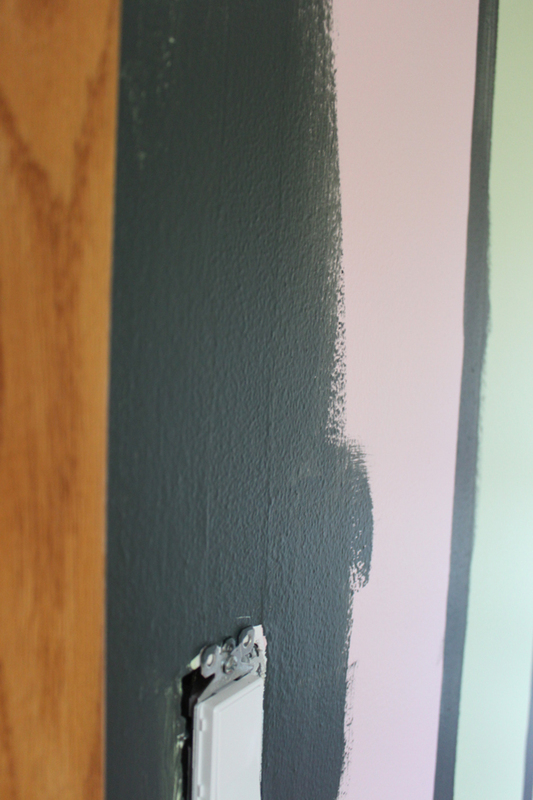 As we were cutting in and putting the first coat on, we saw that the previous owner’s striped walls were leaving very visible vertical lines due to the thickness of the paint vs the non-painted areas. We thought maybe one full, thick coat would help. Ha (says the universe), nope. Instead of wasting more and more paint, we tried to come up with possible fixes. – Adding paint to just the non-painted stripe areas. Nope. 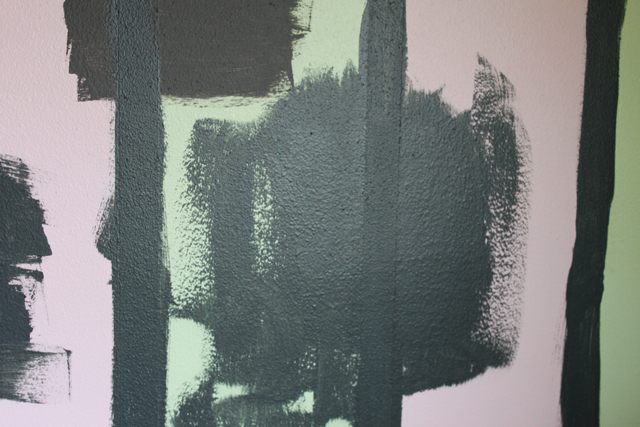 – Adding a sand texture to the non-painted stripe areas and blend into wall gradually. Nope. – Sand down the edge then apply sand texture and then a coat of paint. Nope. So next up we try my dad’s suggestion which would be trying some dry wall mud and smoothing it out basically all of the entire walls, re-sand it complete and then paint. So much for knocking that one out easily and now that room is in a crazy, messed-up state with all the furniture in the middle and the walls half painted. Oh and be aware, this color is NOT BLACK. I know it looks like it but trust me in the end it’s going to look amazing. 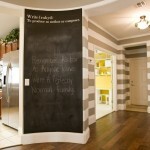 I’ve done some serious research when it comes to how I wanted our home to look. 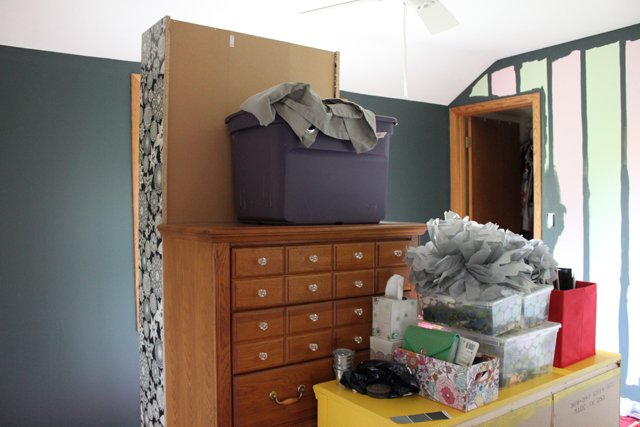 I was a bit scared at first when we started rolling it up there, but after doing a re-assuring Pinterest search for charcoal walls I was relieved again. 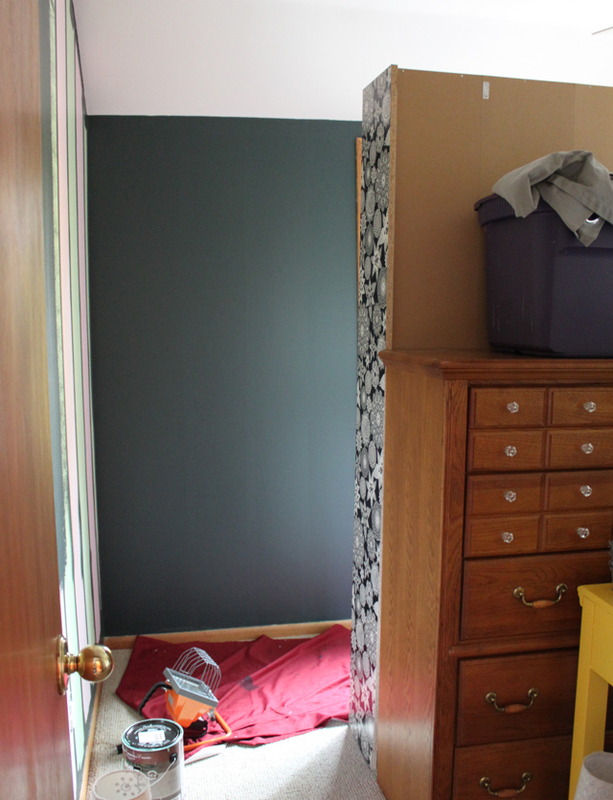 This is the my color inspiration from this little girls room, and we’re using Dark Pewter by Benjamin Moore (seen in first image), color matched at Home Depot in Behrs Paint + Primer. 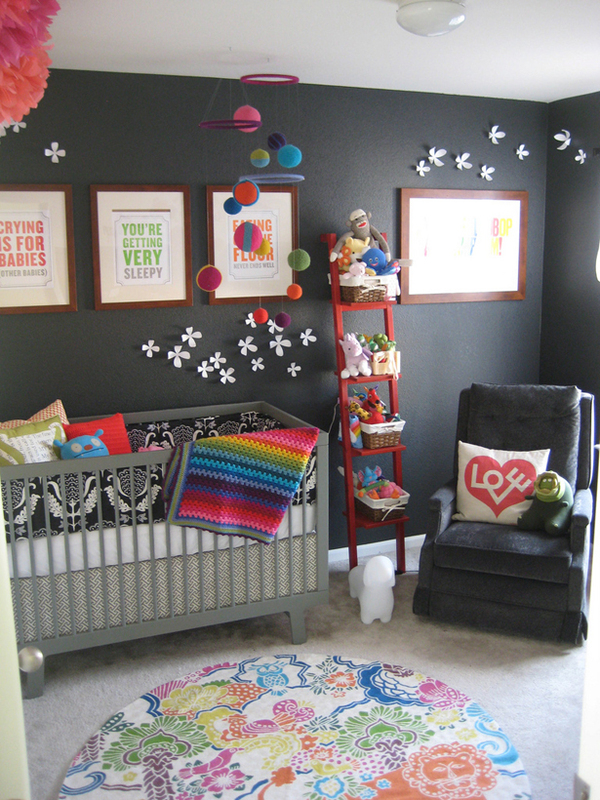 No, this room will not be a nursery, these were just the best photos that showcased dark walls with light and bright accents. 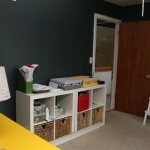 This room will be our office for now, but some day down the road… like maybe two years, it could become a nursery. 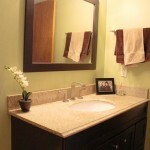 Everything that goes in that room will be light and bright. 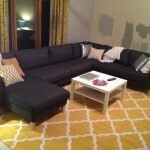 I have a yellow desk for there, and plan to re-do the dresser and book shelve in a light color as well… white or yellow. 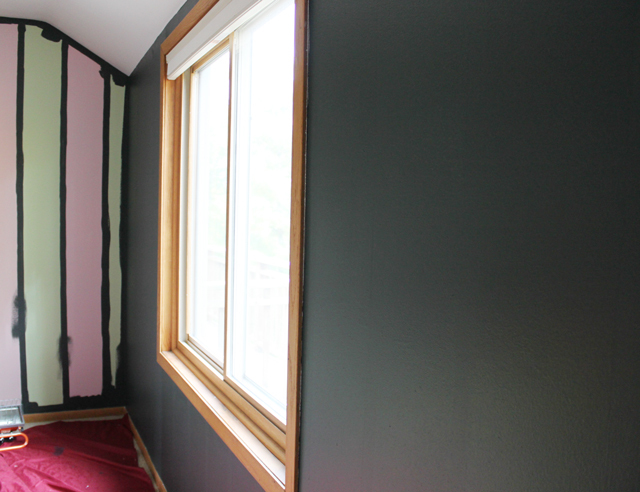 We’ve also got light gray curtains to add light and we plan to paint the woodwork all white as well. So lesson for everyone living on this planet – when you paint stripes… keep them thin.